4 Inch Rockwool Cubes. Available as 1 cubes, strips of 6 or boxes of 384 and with 25mm or 36mm holes to suit any of the cutting and seeding cubes we sell. 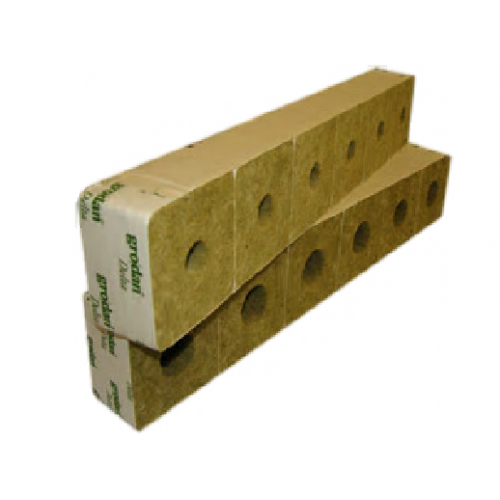 Rockwool Cubes in this size are used for transplanting with the idea being to grow your cuttings to a suitable size before moving them in to your final pots or hydroponic system.